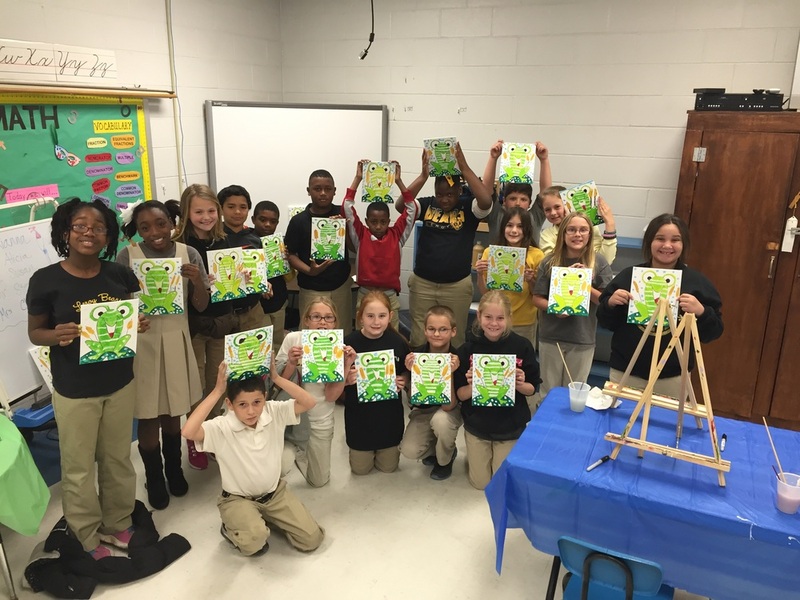 A combined total of 163 third and fourth graders at McIntosh Elementary and Leroy High School had the opportunity to learn painting techniques from visiting artist Rianna Freeman Turner, courtesy of the Wilcox Foundation and Gallery in Chatom. 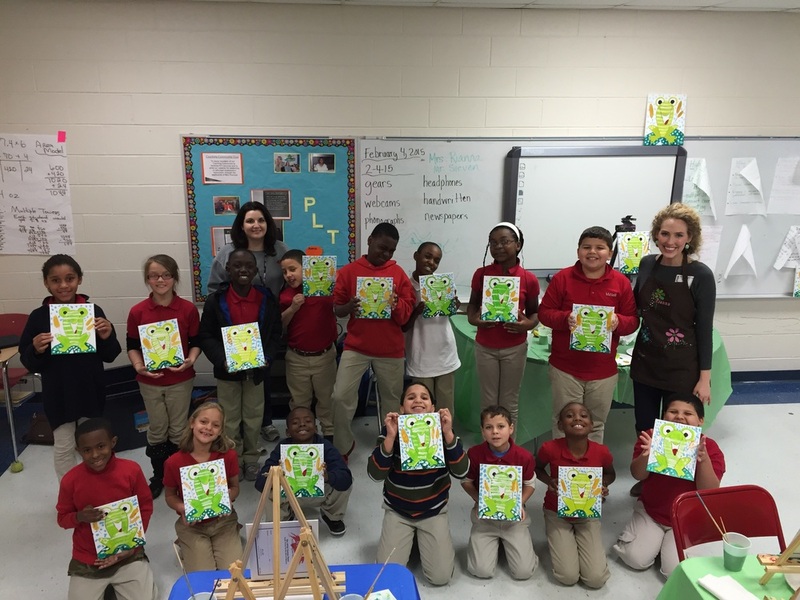 The Wilcox Foundation will bring the artist back in the Spring to teach classes at Chatom Elementary, Fruitdale High, and Millry High School. In addition to the workshops at the schools, the Foundation also hosted a class for adults on Saturday, Feb 21 at the Bailey Construction Building in Wagarville. During the two and a half hour class called “Stroke of Genius,” attendees painted a frame-worthy 11x14 canvas, “Blue Hydrangeas,” under the direction of the artist. One of the goals of the Wilcox Foundation, created by the late Edith Jordan Wilcox, is to promote the arts in Washington County. “We are thrilled that we were able to provide a hands-on learning experience for students and adults across our county. We are looking forward to taking this program to the other schools in April,” said Alicia Atcheson, executive director of the Wilcox Gallery.